Access to an upstairs that has been placed off limits due to mobility issues is now as easy as making requesting a quote from a stairlift manufacturer. 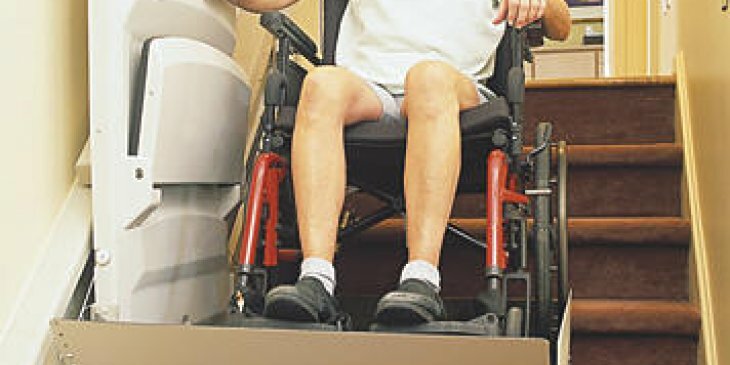 These unique handicap lifts allow a person who uses a wheel chair or is not able to climb steps to access an upper level by transporting them in a chair along the stairs. Wheel chair lifts and electric chair lifts have are popular home improvement items that carry a person up the stairs in comfort. The convenience of a stairlift allows persons of limited mobility to regain the use of the entire living space. These lifts come in a variety of styles and prices. Finding a reputable company that will stand behind its product is very important. Proper installation and service will ease the worries of a handicapped person. As with any modern convenience, a chairlift is a product of advanced technology and requires sales expertise and service after the sale. The Acorn Company is a manufacturer of high quality stair lifts and wheel chair lifts. There full line of products includes mechanisms that will curve around the tops and bottoms of stairways and allow full access to everyone needing to use the stairs. The products from Acorn are technologically advanced and include features such as a rack and pinion drive system, quiet battery powered motors that will not stop working if the power goes out, swivel seats for greater access and ease and installation for any space and size stairway. Contacting a company, which sells and installs these transport systems, is the first step. 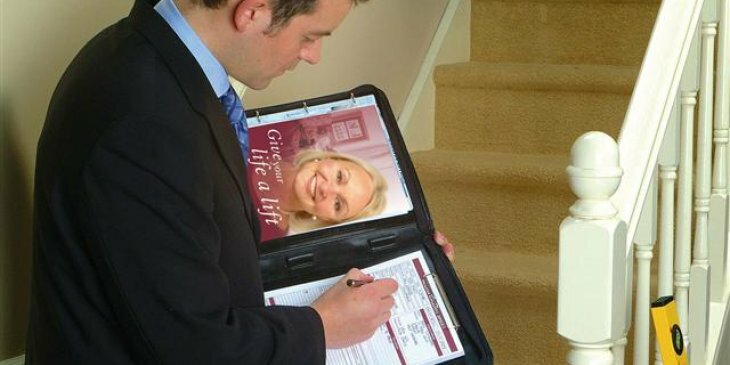 A trained salesperson and technician will assess the area where the stair lift is to be installed and design the proper installation. Acorn Stair lifts can be custom built for any space so that it fits correctly and is not intrusive on other areas. Once the measurements are made, the technician will design the stair lift for each space. Each unit is manufactured to exacting specifications that include a fully contoured modular track system that transports the chair in silence. Installation can be done by a trained and experienced staff. Since no two installations are ever alike, the installers will take the time to be sure the system is correctly attached and anchored to the walls and floor where needed. This will insure safe operation for the life of the chairlift. With a full lifetime warranty for the operating motor and drive system, getting service after the sale for an Acorn system is never an issue. Many years of superior customer service puts Acorn at the top of the class in stair lift sales, installation and service. « How Much Do Stairlift Replacement Batteries Cost?